Ever since I’ve been immersed in the working world I have learned that networking is crucial to success. Mainly from my experience it’s all about who you know. So creating a broad circle of connections allows anyone to be able to reach out to people even if you just met or have yet to meet. Getting on LinkedIn really helped me reach a larger and more professional audience that could help me along my career. I currently have 419 connections on LinkedIn and by posting a resume people have reached out to me for various reasons. Even if someone reaches out to you for something you cannot do for them it is still a good start to building a relationship. You never know how networking can end up; someone you know could connect you to the person that can give you your dream job. 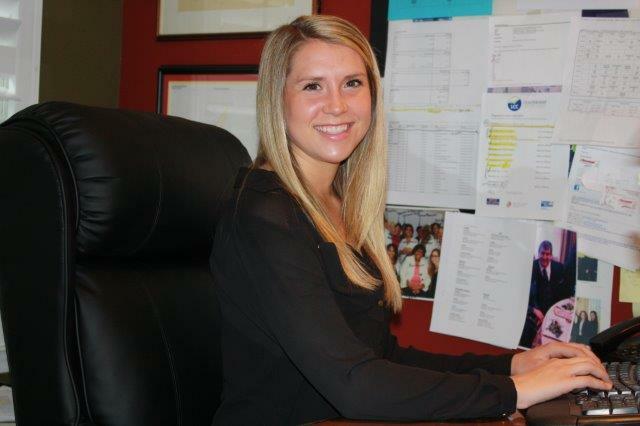 Being an intern, it is important that I have people in my world that can help me get to the next stage of my life. Working at ESMS and having Cynthia as a boss has made networking have even deeper importance. 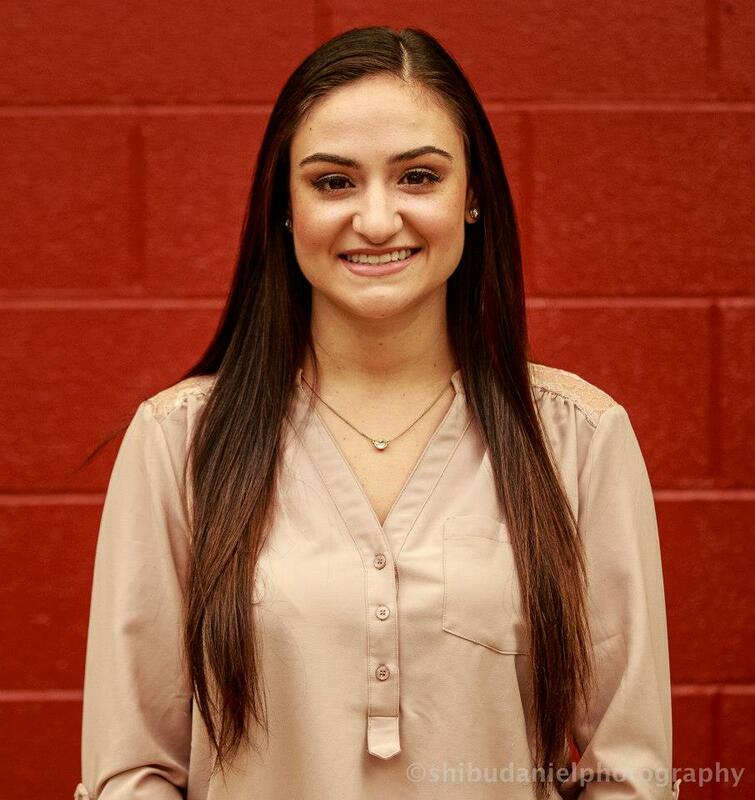 She has such a broad Center of Influence which she utilizes to the maximum when it comes to helping the interns to obtain their next goal. A few weeks ago she even connected me to someone at QVC who could potentially set me up with my next internship. I have also gotten some responses to the Constant Contact Campaign that she sent out about me! She truly does everything in her power to help us get to the next step in our career. Networking and having connections is so important when finding a career because knowing the right person can land you the job you want! In the business world, it’s all about relationships and who you know. It is important to introduce and share who you know to others because you never know where an opportunity might blossom from. LinkedIn is also a great tool to expand your Centers of Influence. Working here at ESMS was one of the best decisions I could have made at this time in my life. As I am in search of my “big-girl job”, Cynthia has been helping me immensely connecting me whenever she can. She connects me with her Rotary Club, OIC, and her clients. She even sent out a mass email to all of her connections promoting me and my job search. Cynthia introduced me to a colleague/friend, now an Executive with QVC, who she has known for over 25 years. 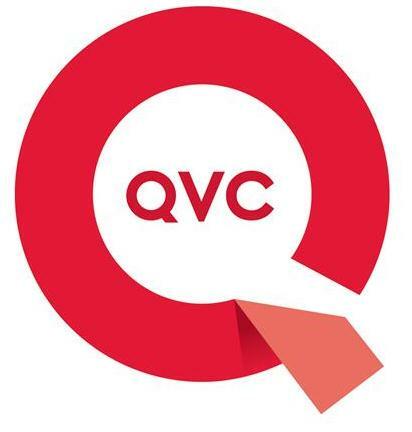 I hope to work at QVC in the future and by meeting with this connection I am one step closer to accomplishing my goal. I appreciate all that Cynthia does to help me move on into the business world, and I am certain that she will be the reason for my first real job! On Wednesday, September 30th The ESMS Team got a chance to see the magic that happens at Quest Therapeutics. 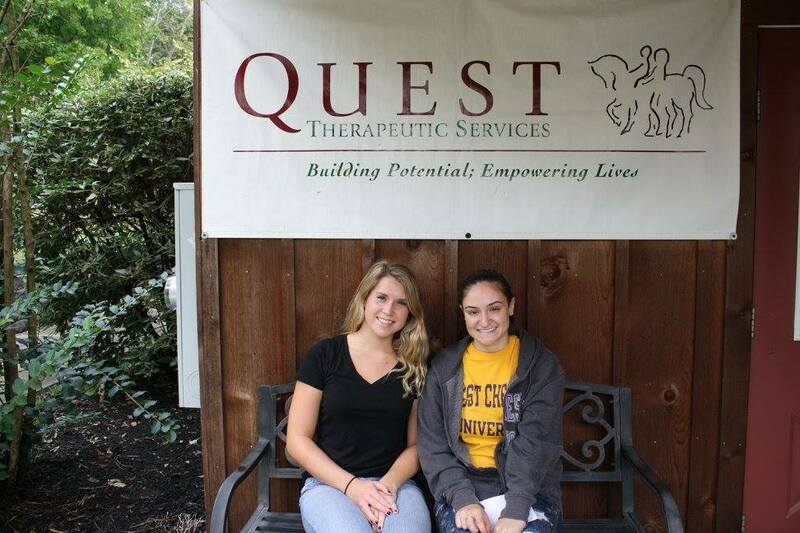 Quest is a leading provider of pediatric therapy services for children with developmental, psychological, & physical disabilities. 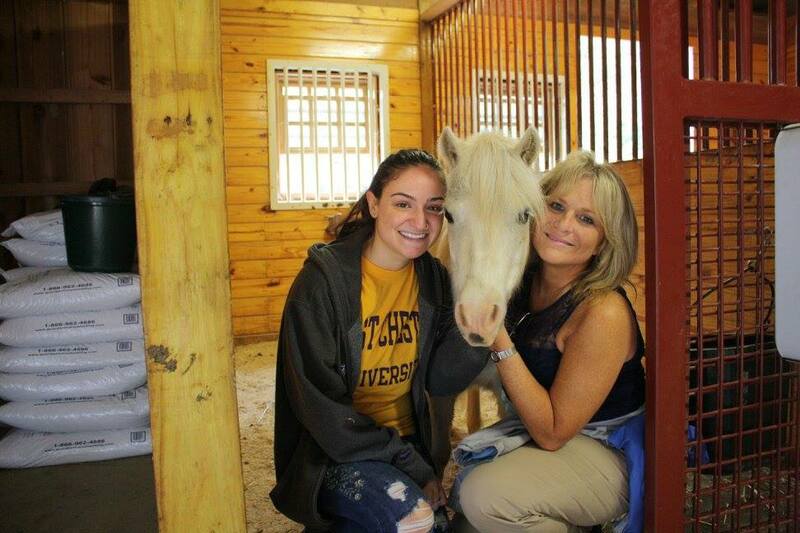 We offer Equine-Assisted Therapy, as well as Occupational, Physical, Speech Communication and Early Intervention. 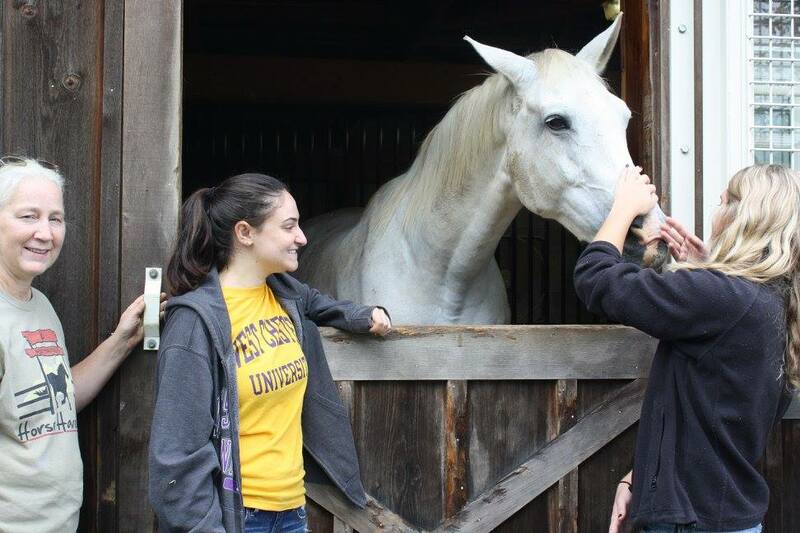 Upon our visit we got to meet the horses: Cooper, Rick, Jack, Chloe, Boo Boo, Yogi, Cappy, Mr. Mocha, Tobin, and Teddy. This experience was especially touching to us because we got to see what these people and animals do every day to help children. Watching the events that take place at Quest inspires us to do more in our community and give back. It also made us reflect on how blessed we are and to keep our daily life challenges in perspective. 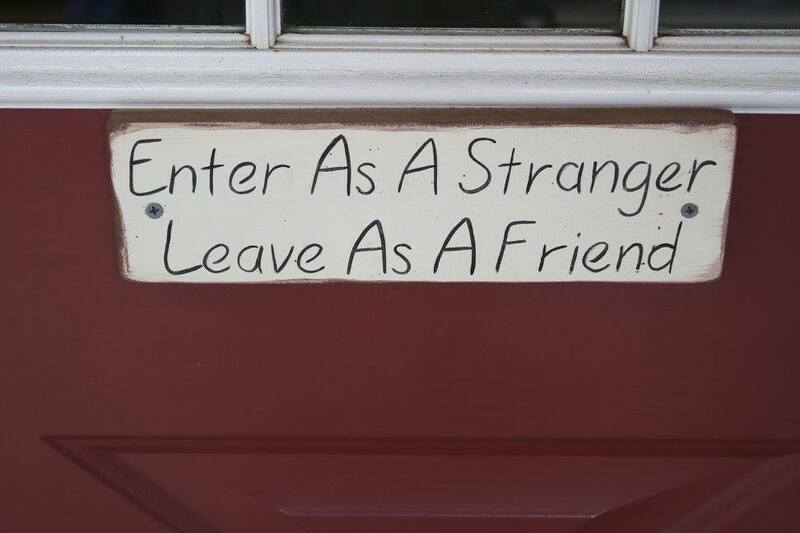 A sign to brighten up your day!